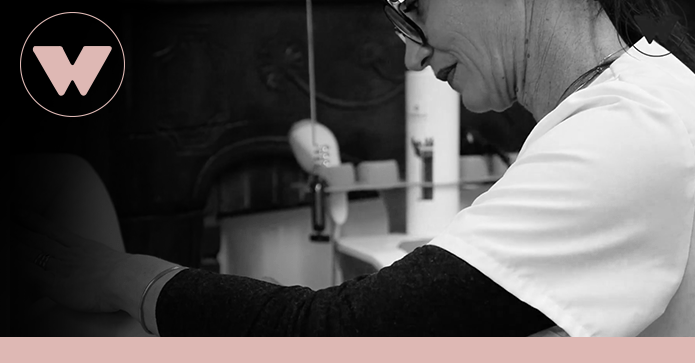 Cécile Rognogni has been a physiotherapist for 20 years, and she uses tecartherapy daily, either in a therapeutically or in aesthethics and post operatively on breast cancer management(see our article on breast cancer). In her opinion, Winback is a practical auxiliary that has the advantage to keep a link with the patient. The results are very promising and noticeable and moreover their using is comfortable, both for the patient and healthcare professional. This high-tech device helps to take care of women whose body is infected. It’s used to minimize scar formation, to regain range of motion for an arm or promote increased lympathic drainage. It even has some preventive aspects. « What’s useful with this device is that it’s a combined manual therapy, the massages and stuff, it works, but not as deeply, whereas with this one, it works very well » She directly feels the daily massage’s benefits: «I’ve felt a greater range of movement in my upper arm than before». Winback’s technology acts on the cutaneous level, allowing revascularization and to soften a hardened or burnt tissue, such as post radiotherapy skin degradation. However it is also used pre-operatively, before breast reconstruction, by revascularizing optimizing the implant of adipose cells or prosthesis. The patients feedback generally that Winback helped after a rough period in their lives. The arm swells and the scars appears. Necessarily, the body is questioned and the future put aside. But with Winback, as Miss Rognoni highlights wisely, the patient feels much improved. They rediscover full range of motion and an image that corresponds to them.